Help these two young Salvadorans full of hope in their academic future, but with scarce economic resources. To get closer to the dangerousness of the country, we must mention that El Salvador is a very small nation – known as the Tom Thumb of Central America- with just over 6 million inhabitants. This small country has a rate of more than 3,600 murders per year. In other words, it is as if more than 26,000 people in Canada or 211,000 in the USA were killed during one year. El Salvador is controlled by two gangs (or terrorist groups), Barrio 18 and Mara Salvatrucha. Adolescents and young people between 14 and 25 years of age are always the most affected group among the entire population. Many of them are forced to join the gangs. If they become a part of the gang, then probably will die at an early age. Refusing can be just as dangerous, since “cowardice”, in many cases, is also punished with death. Joel is 19 years old and Manuel is 18. Both came from highly dangerous places. They both know what it is to endure violence and fear. A few years ago, Joel suffered the murder of his brother by one of the two gangs. Manuel has been robbed with guns in his own home. Being young seems to be a crime in El Salvador. In spite of all, both give their best to overcome their situation. They are two young men with hope and full of enthusiasm. Both have finished their last year of High school with a grade higher than 7.5 (B+). The average grade in the country is 5.6 (C). They´re both ready to go to college. 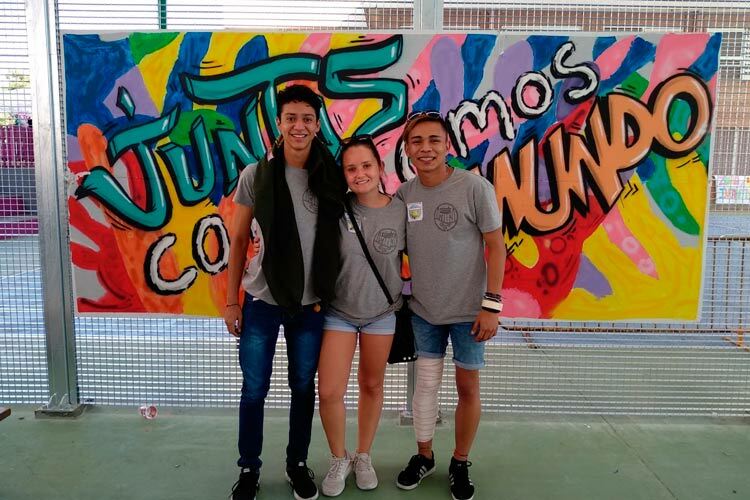 Thanks to their academic results, their attitude and their enthusiasm, they both have obtained a scholarship at CPA Salduie, in Zaragoza.. Manuel wants to study a Degree in Audiovisual Communication and Joel has opted for a Degree in Science of Physical Activity and Sports. They are not studying in Zaragoza only thanks to the scholarship they received but for the help that you all offered to them. A year ago we ran a similar campaign asking for money for their studies. 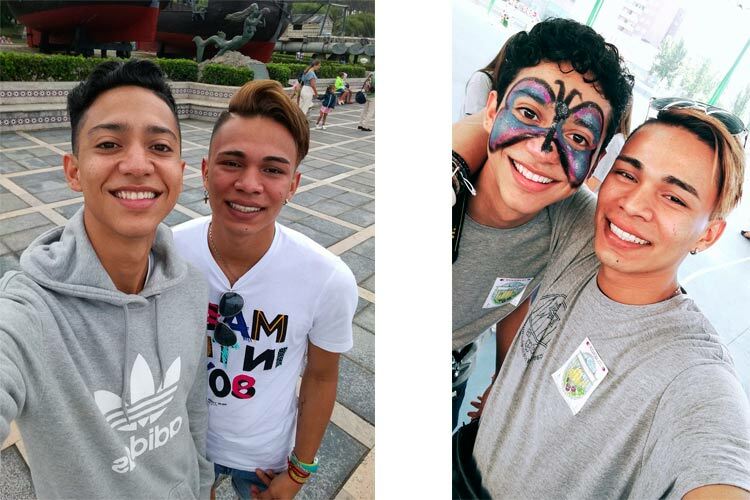 Right now, Joel and Manuel are already studying in Spain, but they need money to do their second year studies. It is the only possibility that Manuel and Joel have to be able to continue in Spain, far away from El Salvador, the place that was like a hell in their lives. To study and to earn their living in peace and to achieve that dream, they need to get a total of $10,000, to finish their career studies. It’s a lot of money, but we can all save two lives and help two young men with a future. All the money raised will be destined to cover the expenses of Manuel and Joel for the next four years of his life. The costs are $9,000 for each student that will be collected in two projects. Health care insurance and medication expenses. Study expenses: Books, photocopies, notes, work printing. Expenses to buy winter clothes. I am a Spanish missionary. I’ve been living in El Salvador for five years. I have seen and experienced first-hand the reality of El Salvador and the life of these two young men in particular. I have worked in El Salvador on a research project about gangs, youth, violence and reconciliation. This project is developed in the UCA (Jesuit University) of El Salvador.